Established in 1971, Lakehill Preparatory School is an independent college preparatory school for students in kindergarten through grade 12. Offering a well-balanced program of academics, athletics, fine arts, and community service in a rigorous and nurturing learning environment, Lakehill is a special place where dedicated faculty help students realize their intellectual, physical, and creative potential, while recognizing their responsibilities as members of the community. Lakehill is staffed by passionate adults who are devoted to teaching and who model for students a life-long love of learning. Our extremely talented faculty look for the individual potential of each child and encourage engagement in a broad range of academic, artistic, athletic, and extracurricular activities. Lakehill is a community where you can be who you are and do what you love. 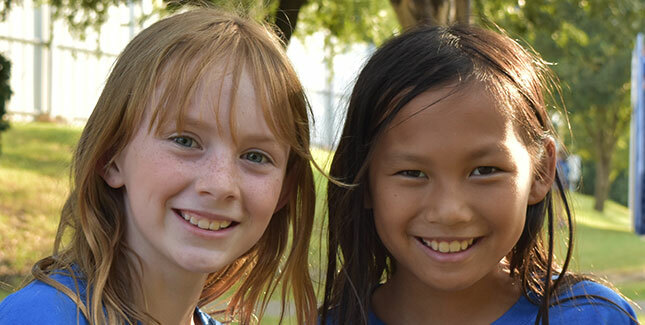 The Lakehill experience fosters connections of all kinds – to classmates and teachers and friends, to new ideas, and to our unique traditions and history. Lakehill is a member of the National Association of Independent Schools (NAIS) and is accredited by the Independent Schools Association of the Southwest (ISAS), a member of the International Council Advancing Independent School Accreditation (ICAISA).